A “one-woman cultural collision” (Los Angeles Times Book Review), poet, essayist, and fiction writer Julia Alvarez is renowned for her lyrical, poignant, politically insightful books, including How the Garcia Girls Lost Their Accents, which details the lives of four sisters before and after their exile from the Dominican Republic; A Wedding in Haiti, an examination of three of Alvarez’s most personal relationships; and Return to Sender, a novel about the families of undocumented Mexican workers in Vermont. Her many awards include the F. Scott Fitzgerald Award for Outstanding Achievement in American Literature and the 2013 National Medal of Arts. 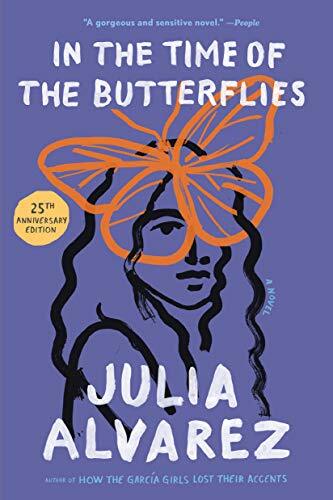 On the eve of the 25th anniversary of its publication, the new edition of Alvarez’s novel In the Time of the Butterflies is a celebration of the four mariposa sisters who symbolized courage, love, and resistance. In conversation with Concepción de León, the digital staff writer for the Books desk at The New York Times. She also writes "El Espace," a news and culture column for Latinos. Admission is free. For more information please call (215) 567-4341 or click here.